Blueberry was the beginning of a beautiful trend in cannabis hybridisation. It all began stateside back in the day; somewhere in California, sometime during the 70’s with the crossing of diverse landrace genetics. It took three pedigree strains and decades of highly selective breeding to bring about the Blueberry we all know and love today. Highland Thai, Purple Thai and Afghani genetics had never before been mixed. This was not just the genesis of the Blue family, it was a huge leap forward for indoor growers everywhere. Throughout the 80’s and 90’s, sativa plants were ruthlessly hybridised with indica breeding stock. Unfortunately, the price of the rapid advancement of indoor cultivation was the loss of pure sativa strains. The success of indica-sativa hybrids changed cannabis culture permanently. A sweet, fruity, blueberry aroma and flavour has made Blueberry a cannabis iconoclast. Her growth characteristics are that of a “stretch indica.” Her buds are dense and frosty, however, internodal spacing can be quite elongated during bloom. She will produce an abundance of tight flower clusters, rather than looser, long-running colas. Without question, it’s her unique terpene profile that comprises Blueberry’s claim to fame. Other attributes include a penchant to develop purple/blue colour tones in cooler temperatures, as well as her delicious, relaxing, long-lasting, not-quite-couchlocking body stone effect. Thus, Blueberry is must-have marijuana for pro breeders as well as ordinary, decent home growers everywhere. Let’s check out a handful of beans RQS have infused with gooey Blueberry goodness. Haze Berry swings that signature sweet, fruity berry flavour to the sativa side. By successfully hybridising the super resinous Shining Silver Haze with original Blueberry, RQS have created quite possibly the tastiest sativa-dominant stash. Plants grow long and lean, tending to develop long-running, resin-dripping colas of tight buds. Indoors, she can stretch to 1.5m; outdoors in southern climates, 2m is possible. Early training and/or pruning is recommended. These sweet trees can be enormously productive and branches may snap under dense bud weight. Cropped with artificial lights, up to 675g/m² harvests and comparable per plant yields for southern ganja farmers can be achieved. If you’ve got some game in the grow room, Haze Berry is more than worthy of a place. Royal Bluematic is the RQS autoflowering edition of Blueberry. 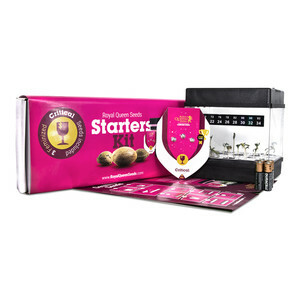 Blending the finest flavoured connoisseur cannabis with ruderalis was a no-brainer. The resulting next-generation autoflowering hybrid opens up the Blue Family to micro-growers and outdoor stealth growers. Delicious Blueberry buds ready for harvest in just 8-9 weeks post-germination is really too good to resist for any cultivator. Low-profile and low-maintenance, Royal Bluematic is an easy cropper suitable for growers of all levels. 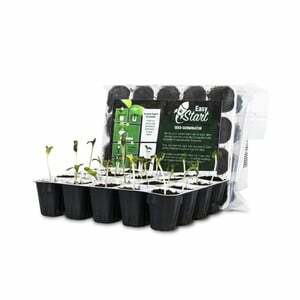 Expect somewhere between 50-150g a piece from squat, under 1m plants indoors or outdoors in warmer climates. Blue Cheese is a gourmet cannabis hybrid of perhaps the most flavoursome dank duo on the planet. None other than the infamous UK Cheese and original Blueberry could produce such a unique hybrid. This one is a real treat for the palate. A complex blend of berries and musky, earthy Cheese perfumes the air and leaves a pleasant after taste on the exhale. Heavy body effects will kick in after just a few tasty tokes. Flowering takes no more than 9 weeks to deliver a 500-600g/m² SOG yield. Outdoors, she will rise above her typical 1-1.2m indoor height to as tall as 2m. In a hot climate, individual plants can produce up to 500g+ each. Trimming will require a little more attention and care than the average high-grade hybrid. But don’t forget, all that sugar leaf makes for great hash. Blue Mystic is a Blueberry hybrid with a hint of mystery about her. 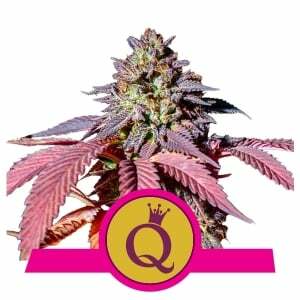 RQS developed a choice Blueberry line displaying heavier indica attributes to bring forth the Blue Mystic. 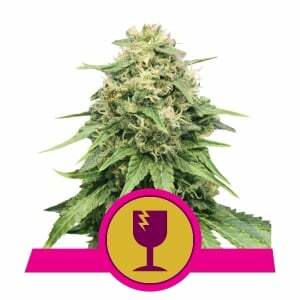 This member of the Blue Family is renowned for her juicy flavour and sedative body effects - purposefully selected for these most desirable indica traits. Plant structure is short and compact. Typically less than 1m tall and made for an indoor SOG. Even beginners can expect around 400g/m² after 8 weeks of bloom. Outdoors, Blue Mystic can bush out and climb to 2m, producing as much as 450g per plant. Lovers of White and Blue strains get ready to smile. Fruit Spirit is the gooey cannabis cocktail of your dreams. This hybrid gives you mouth-watering Blueberry flavour and the copious resin production of Dutch Coffeeshop favourite White Widow - all in one seriously frosty and compact package! Don’t be fooled by her looks. She is a sativa in disguise. 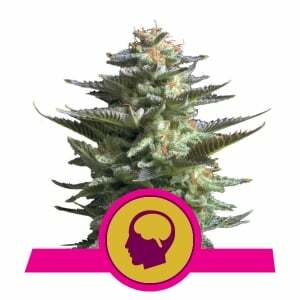 Fruit Spirit might also surprise you with h er cerebral high, which is pleasantly uplifting. Real mood-booster weed. 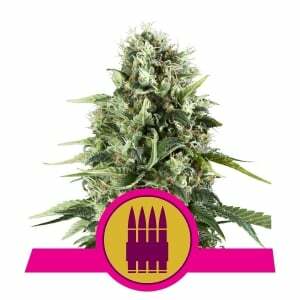 In the grow op, she is the picture of classic, branchy, heavy indica marijuana. She is rather pint-sized, rarely exceeding 1m indoors. However, she has enormous SOG and small grow space potential. To be effectively cultivated outdoors, she demands hot weather to reach her full potential and grow to a decent sized bush of about 1.5m tall.